The ABEA is an annual award for which 150-200 companies compete in each category. The award recognizes businesses that demonstrate high standards of ethical behavior in everyday business practices and in response to crises or challenges. Judging is done by an independent panel of business leaders, academics, public service professionals and consulting communities. As an award winner, Skyline Exhibitor Source will be presented with the ABEA statue at their offices in LaVergne, Tennessee at a November 13th reception. "It is great to have other people from business and academia look at what we do in a normal day, week, year, and determine that how we do things is distinct from other organizations. We have entered this competition two times, winning at the state level and 2nd place nationally, and to win this award serves as affirmation that our commitment to making a remarkable difference for our clients, team members, and worthy causes is the right path for our company. What we do may change, but the reason for our existence and our core values will always remain the same, and for that I could not be prouder," said John Hamari, President of Skyline Exhibitor Source. Businesses are nominated for the ABEA by customers, employees, shareholders, or members of the local community. Nominees must then complete the ABEA Ethics Questionnaire and provide supporting documentation to the panel of judges. Nominees are judged across four broad areas: executive commitment to ethics; ongoing ethics programming; demonstrated ethical business practices; and commitment to stakeholders, including employees, customers, and the community. The Foundation for Financial Service Professionals is a charitable organization that fosters research, education and ethical practices among financial service professionals. The Foundation was established in 1982. More information the Foundation is available at www.FinancialProFoundation.org. Skyline Exhibitor Source is a trade show installation and design firm that manufactures a wide range of custom and semi-custom trade show displays and exhibits. 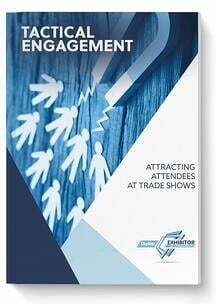 The company's trade show exhibits are used by companies around the world in permanent, semi-permanent, and temporary exhibits. 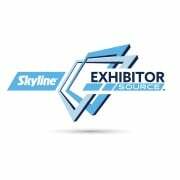 Skyline Exhibitor Source has been committed to designing trade show exhibits for over 25 years. With offices in Nashville and Knoxville, the Tennessee company thrives with a results-oriented approach to problem solving for trade show displays and permanent structures. Experience, award–winning design, trade show management, and rental options are all part of the package that one will receive when working with them.